The shop offers domestic and foreign clothes and accessories which brings joy to your everyday life and antique and vintage clothes and accessories the buyer directly bought from flea markets all around Europe. 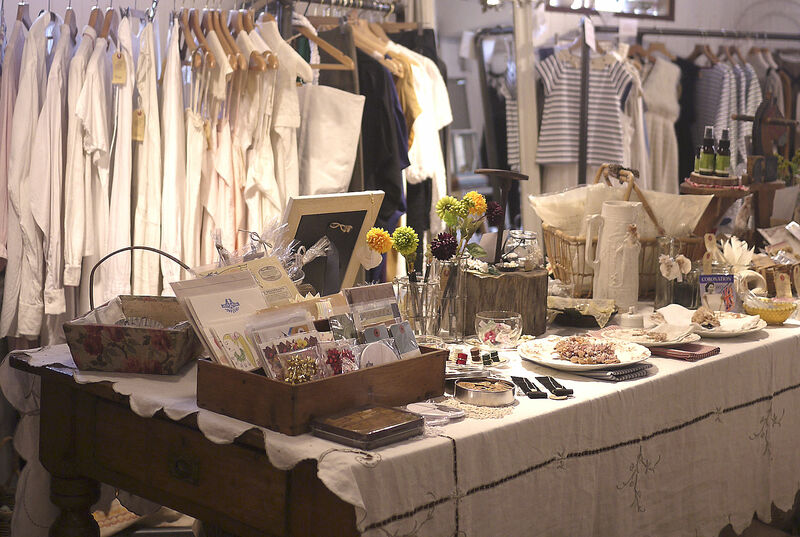 They recommend a wide selection of materials for creators such as antique buttons, laces, fabrics and accessory parts. This shop is recommended for those who like to make their own clothes.